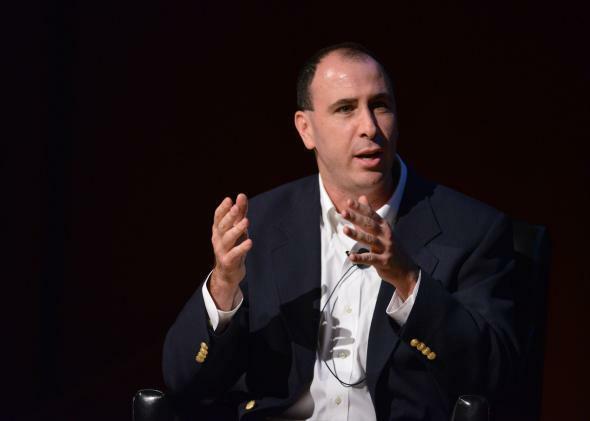 Jonathan Chait's anti-political correctness essay, unpacked. Eminently reasonable statement, right? But when you start picking apart the writing that comes before it—writing that’s dense with rhetorical choreography, questionable conflations, and tenuous juxtapositions—Chait’s measured facade starts to crack, and what’s behind it is actually kind of fascinating. Many progressive critics have written off the piece as the whining of an out-of-touch white guy, and that’s certainly a fair response. But it’s also undeniable that Chait has described a real thing in our cultural moment (the more honest responders have admitted that much) and, at least to my mind, some of what he observes about it is correct. Rather than snarking or condemning Chait out-of-hand, I think we ought to take a closer look at the underlying logic of his complaint—the good and the bad—to see what we can learn, not only about the purported dangers of P.C. culture, but also about the perhaps equally troubling assumptions of those who fear it. First, we need to restore a sense of scale to this discussion. Chait’s complaint—like other, similar ones—often asks us to imagine that millions of well-meaning American citizens are daily receiving cease-and-desist orders from so-called “Social Justice Warriors.” This is not true. Most Americans do not live and work and express their trenchant takes on the social issues of the day on Twitter or in the other areas of the Internet where these kinds of skirmishes occur. Most Americans have never heard of SJWs or microaggressions. Most Americans do not live with the anxiety, as we progressive opinion writers sometimes do, that we will be denounced as somehow retrograde or phobic or bigoted for accidentally offending a handful of vocal digital activists. Most Americans would probably find such anxieties quite ridiculous, the state of the world considered. Politically correct zealotry may be a threat to certain individuals’ continuing stream of social media goodwill, but it is not a threat to Our Democracy. Not really. Chait may be somewhat melodramatic, but he is not totally off the mark. There are definitely some troubling aspects to the leftist mode of identity-based critique of which we should be wary. But his refusal in this essay either to grapple with deeply ingrained power differentials between social groups (hardly a radical proposition at this point) or to question the assumed virtue of his own rather jejune, “Let Us Gather at the Table of Reason” vision of liberal social discourse is in many ways more worrisome. I think most of us can join him in decrying his well-chosen illustrations, like the professor who was defended by certain extreme activists after she physically assaulted and damaged the property of law-abiding anti-abortion student protesters. However, Chait’s condescending tone and his tendency to gloss over nuance makes it tempting to side with the many critics who are laughing off the piece as the hyperbolic tantrum of a straight white dude who is hardly in danger of being silenced. I won’t be that dismissive, but Chait’s myopia about his own ideology does make you wish someone with more perspective had taken on this worthy subject. In a particularly galling moment, Chait quotes Salon’s Brittney Cooper as if she were being absurd or frightening in suggesting that the applicability of “reasonable debate” might be tempered by histories of power. “The demand to be reasonable is a disingenuous demand,” she wrote. “Black folks have been reasoning with white people forever. Racism is unreasonable, and that means reason has limited currency in the fight against it.” Interestingly, he leaves the following sentence from her original piece—“Black folks understand, just like white folks do, that reason should be wielded as a tactic, not adhered to as a rule”—out of his essay. Chait does not like the idea that reason might not be equally appealing or accessible to all parties at all times, so he presents Cooper as “extreme.” She is not extreme; she is merely stating facts. For the past twenty years, the open, free-wheeling arguments for marriage equality and military service have persuaded, yes, persuaded, Americans with remarkable speed that reform was right and necessary. Yes: the arguments. If you want to argue that no social progress can come without coercion or suppression of free speech, you have to deal with the empirical fact that old-fashioned liberalism brought gay equality to America far, far faster than identity politics leftism. … But instead of absorbing that fact and being proud of it and seeking magnanimity and wondering if other social justice movements might learn from this astonishing success for liberalism and social progress, some on the gay left see only further struggle against an eternally repressive heterosexist regime, demanding more and more sensitivity for slighter and slighter transgressions. There is a lot to unpack in that paragraph, such as the notion that oppressed groups must patiently and cordially “persuade” their oppressors to treat them decently or Sullivan’s ignoring the fact that identity politics—in the sense of getting gays to buy into the idea that they have a shared identity—was a necessary step before the kind of argumentation-from-identity that he worships was even possible. But vis-a-vis Chait, the most important question is one of style. What does a good argument look like to these men? And what does it take for an argument to be deemed “reasonable”? Sullivan is right that the speed with which gay people have found themselves included in the institutions of civil marriage and military service is impressive—but is it really remarkable? As Sullivan, architect of the conservative case for gay marriage, surely recognizes, inclusion in those deeply conservative institutions is as much about domesticating gayness for mainstream palatability as it is about “social progress.” The argument for marriage equality is hardly radical; a radical argument would involve, for example, calling for an end to civil marriage as the de facto requirement for wealth-building, legal protection, and social approval for relationships in this country. But something tells me that would be too “extreme” to compute in Sullivan and Chait’s mannered model of social progress, too “unreasonable” to be taken seriously. Now, consider that arguments about race or gender justice—which, given that gays only became legible as a political class in the 1960s, are made in the context of much older and more deeply embedded histories of oppression—must by demographic necessity be more sweeping and more profoundly radical (see, for example, the perennial freak-out over the suggestion of reparations). When all the institutions with whom we must valiantly argue for our legitimacy are inherently racist and sexist and do not really want to hear from us (or only in unthreatening, file-your-complaint-in-triplicate ways), and when all evidence suggests that such efforts have been only marginally successful at best, it is not difficult to understand why calls to “be reasonable!” are met with an increasing amount of side-eye. But like I said, Chait’s not wrong about everything. One of the main problems with the constellation of leftist ideas he bemoans is that many of the people who use them most loudly do so out of context. Concepts like “microaggressions,” “trigger warnings,” and “mansplaining” originally had specific meanings and limited uses, often within the academy. They described or were meant to address specific situations or phenomena, and more important, they were intended to function as diagnostic tools of analysis, not be used as blunt, conversation-ending instruments. Believe it or not, most of these “PC buzzwords” are actually useful from time to time: “Straightsplaining” is a real (and very annoying) thing, and it’s often a productive way of thinking about an interaction. But it’s also not always a useful or fair way to characterize a disagreement between a queer person and a straight interlocutor. Precision is what’s needed. Additionally, though it is impossible to say this without sounding condescending myself, a lot of the abuse of PC rhetoric comes from young college students who have not yet grasped the difference between a measuring tape and a sledgehammer. Of course, given that contemporary mainstream politics offers little for those hopeful souls who want to make truly radical change in the world, you can’t really blame them for gravitating toward a mode of critique that at least feels somewhat empowering. Here, first-year, is a framework by which you can reveal the (screwed-up) hidden structures of the world and use your newly honed textual close-reading skills to mount offenses against those structures—go for it. What works on a novel doesn’t necessary translate to a complicated, changeable human being, though, so it’s no surprise that the deployment of microaggression and cissexism and other social justice lingo can sometimes come off as strident and simplistic. It often is. But then, so is crying that only Reason can save us from the illiberal wolves waiting in the wings of our great system, which has a “glorious” history on social justice, by the way. Hey, no worldview is perfect. If a person who is accused of bias attempts to defend his intentions, he merely compounds his own guilt. (Here one might find oneself accused of man/white/straightsplaining.) It is likewise taboo to request that the accusation be rendered in a less hostile manner. This is called “tone policing.” If you are accused of bias, or “called out,” reflection and apology are the only acceptable response—to dispute a call-out only makes it worse. There is no allowance in p.c. culture for the possibility that the accusation may be erroneous. A white person or a man can achieve the status of “ally,” however, if he follows the rules of p.c. dialogue. A community, virtual or real, that adheres to the rules is deemed “safe.” The extensive terminology plays a crucial role, locking in shared ideological assumptions that make meaningful disagreement impossible. Here, Chait (and Sulllivan and Dan Savage, who all echoed him on this point) picks up on what is truly the most self-defeating part of contemporary PC culture—the refusal to distinguish between ignorance and genuine disagreement. We are not talking, to be clear, about disagreeing over, say, the value of trans lives or the fairness of gay marriage; those are no longer things seriously up for debate. But plenty of legitimate contentions remain. That logic is real, it is ridiculous, and it is truly tiresome. It deserves all the criticism it gets. As for Chait’s larger “exhaustion” with political correctness, I can only say I empathize—writing about issues that pertain to social justice (especially from a position of privilege) is exacting, taxing work, and sometimes you mess up. Sorting out the criticisms that are fair and productive from those that are extreme or pedantic can be draining. But it’s part of the gig. And, for what it’s worth, I can assure Chait that occasionally hearing the complaints and critiques of the oppressed people we earn a living writing about is far less exhausting than actually having to live under that oppression—a negative tweet here and there is hardly unreasonable. *Correction, Jan. 29, 2015: This post originally misspelled the first name of former Mozilla CEO Brendan Eich.